And it’s true that kids nowadays do take a lot more tests. According to a survey by the Council of the Great City Schools, students take an average of 113 standardized test from pre-K through grade 12, (only 17 are mandated by the federal government). It’s interesting to think about how testing has changed for kids over the years. When my oldest was in school, standardized tests were held in grades 4 and 8. Two years later, son #2 was in school, and the tests were changed to every year, starting with grade 3, up until grade 8. Two years after that, son #3 was in school, and in addition to standardized tests, all classes were required to give final exams and test throughout the year — even in P.E. But this new standard — this new curriculum — was needed. Kids weren’t doing as well on the standardized testing; school district curriculums were too varied and inconsistent. There needed to be a standard way to measure academic success across school districts. Kids needed more exposure to word problems and exercises that related to real life problems. School districts and teachers needed to be held accountable for students’ academic success or failure. The state tests given that year were based on the new Common Core standards. And the overall results were much lower. Standardized tests are graded on a scale of 0 to 4, 4 being the highest. 4 is considered excellent, and 3 is considered average/above average. A score below 3 requires intervention from the school in the form of AIS (Academic Intervention Services) classes. So, a 2 or 1 is below average/poor. My daughter, who has only ever scored 3’s and sometimes 4’s, suddenly was getting 2’s. What the heck happened? The school said not to worry about it – all scores were low that year across the board, as a result of transitioning to a new test. What do we not know, or, what do we need to figure out? Is there a formula we use for this? Can we draw a diagram? Check your work – does it make sense? Reread the question – does this answer match what they are asking for? Or do we need to do another step? 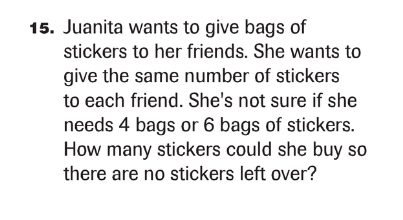 I can tell you that some of the current Common Core homework exercises are confusing and bewildering. It seems every question is a word problem, with 4 parts. Reading the question often leaves you clueless on where to start. My daughter is often so confused by what she’s supposed to do, she is not learning the concepts. I remember helping my older kids with math homework. There was a clear and logical process for deriving the answer. We did problem after problem, equation after equation, until solving them came with ease. Now, instead of doing the same exercises over and over again until learning is mastered, my 7th grader is confronted with a bewildering array of mystical questions that only leave her feeling inadequate. Student test results are now tied to teacher’s assessments. Not only are teachers struggling with preparing materials to help the kids do well on the tests, but if the kids don’t do well, teachers will be held accountable. So, week after week, the kids are drilled/taught how to take the test. How to do well on the test. Strategies for meeting the goals of the test. How to write an effective essay and cite sources. How to do word problems. How to show your work. They review last year’s test, and the year before. Our local news just reported that 50% of her 7th grade class opted out/refused to take the ELA test. We did not. I don’t know how many opted out of the math exam, but it’s likely higher than 50%. So what’s testing week like for us? My daughter was so nervous about the tests. After all the drilling and practice QPA’s and exams, she was worried. Her teachers had said the results of the test won’t affect your grade placement next year; any consequences of bad results will only affect teachers, and you may be placed in an AIS study skills class next year. The day before, the instructions are: get a good nights sleep and eat a good breakfast. But, that proves to be difficult. With so many worries about the test, such apprehension and nervousness, the regular bedtime comes and goes. I sit with her and reassure her. I tuck her in. Yet, here she is again. Soon she is in tears. And although I am patient and reassuring as I tuck her again repeatedly, I am angry that she is pressured like a college kid during final exam week. After school, she is cheerful. She thinks she did pretty good. The teachers always hand out candy before the tests, and she liked the Starbursts. The ELA test are given over 3 days, and as the days tick on, the pressure lessens, and she is happier. But, the next week is math exams. For 3 days. She can’t get to sleep. She is fraught with worry, and miserable. The first day of testing arrives. She is up extra early, gets dressed and is eating breakfast long before her brothers are even awake. She heads off to school, apprehensive but optimistic. At dinner, we sit down to eat and suddenly she comes and sits next to me, and lays her head on my arm. She just sits there, and tears drip down her face, and fall, wet on my arm. I am alarmed, but wait for her for a bit. She stays there for a very long time. The boys ask what’s the matter, but she doesn’t answer. They can’t see she is crying, and I don’t tell them. After a long while, she looks up and rubs her red eyes. Finally, she is composed, and can speak. “I was really embarrassed today”, she says. The teacher asked why all her answers on the last page of the multiple choice test were all the letter “C”. The teacher asked if she had even tried to do the problems, or if she had just guessed. The teacher was not happy. There are so many things wrong with this. As a parent, I am so frustrated. Why is the teacher saying such things? Why is the teacher even picking up the answer sheets for her own class? A long session of snuggling followed, with reassurances that even if she totally bombed the test, her teacher wouldn’t lose her job because of one student. And, as a test taking strategy, if you can’t figure out the answer, making an educated guess is a good thing to do. So is substituting the different multiple choice answers in the problem, to see what works. Take the test? Or refuse, and opt-out? It’s a personal decision, and different for each family. And I have more questions than answers. Isn’t it important to take assessments to determine what knowledge has been acquired, and what still needs to be worked on? Should we take actions that may cause our school district to potentially lose funding due to low participation rates? Should accountability be tied to teachers and school districts? If not, then who will be held accountable? If all the high scoring kids opt out, and that leaves mostly low scoring kids to take the standardized tests, how is that helping? Won’t this cause the teacher to get a negative assessment? To some extent, tests are a part of life. But, are kids taking too many tests now? Why are some teachers teaching subject matter, and some teaching to the test? Which is more effective for learning the material? Option 1: Take the test? Go along with state mandates and take the test. The test scores will be used to evaluate teachers. Teachers and school districts will be held accountable for academic performance. Kids will be stressed out. Testing “gives educators and parents an idea of how the student is doing and ensures that schools are paying attention to traditionally underserved populations,” says U.S. Department of Education Spokeswoman Dorie Nolt. Which is a good thing. Taking the test helps your school district keep their federal funding, which is critical in this era of tight school budgets. NYSAPE says that schools will not lose funding – to date, no school district has lost funding due to students opting out. But, what if that changes? If enough students opt out, federal funding to your school district may be partially withheld. Because NYS received a federal grant which included state testing, federal funding is tied to meeting a 95% testing participation rate. This rate is averaged over 3 years. Which means, NYSAPE may turn out to be wrong – as averages fall below 95%, school districts may lose federal funding. There’s also the 2 weeks of stress your kid will have while testing. But, with your support, they’ll get through it. Teachers and school districts will be held accountable to the measurable academic progress or deficiencies. I personally have issues with this one. I’m not sure tying teacher assessments to student performance works. I agree that teachers should be held accountable for doing a good job teaching subject matter to the kids. But, teachers are more than just teachers – they do more than just teach. And different kids “click” with different teachers. So while one kid may struggle with a teacher, another may thrive with the very same teacher. It’s complicated. Option 2: Refuse to take the test? NYSAPE explains the steps you need to “opt out”; it basically requires notifying your child’s school that you are refusing to test, with a code of “999”. Your child will have an easier time at school on test days. Hopefully your school district will not lose their federal funding. No data will be gathered on your child’s academic abilities and teachers and school districts will not be held accountable. 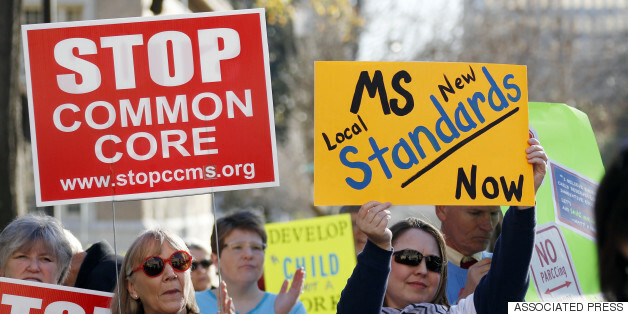 If enough parents “opt out” their children, it will send a message that Common Core is problematic, and kids are being harmed by excessive testing. Our local NYS Congressman, Tom Reed, recently announced he will propose legislation giving parents the right to “opt out” without negative repercussions impacting teachers or loss of funding for their school district. Whatever happens, we would all do well to remember – It’s all about doing what’s right for the kids. He’s right of course. And they are all growing up so fast. As I sat and listened, my middle schooler snuggled up against me, and I held her tight. What a rough couple of weeks it’s been, with all the standardized testing. I think we’re all glad it’s over. Did your child “opt out” of standardized testing? Is it the testing or the common core that needs to change?